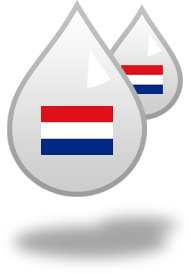 Amsterdam 512MB and 1GB Droplets Are Enabled! DigitalOcean is excited to announce that we have acquired additional IPv4 space in the Amsterdam, NL (RIPE) region. We have re-enabled the 512MB and 1GB Droplets for AMS1 and are ready to be deployed! Login into the control panel to deploy your new Droplets. We apologize for any inconvenience this may have caused. DigitalOcean has been experiencing tremendous growth, and we will continue to acquire large blocks of IPv4 space to keep up with demand around the world. The cruel reality is that IPv4 addresses on the public Internet are running low! See the graph below. Within the past several months, we have absorbed significant costs to ensure that our customers are able to grow by leveraging IPv4 addresses. However, the price of IPv4 addresses continues to increase as the demand far outweighs the supply. As an example, in 2011 Microsoft paid $7.5 million for Nortel's 666,624 IP addresses when Nortel went bankrupt – that's over $8 an IP address! To avoid the future exhaustion of IPv4 addresses, IPv6 was developed in 1995. IPv6 addresses are defined as 128-bit numbers, which means there are a maximum of 2^218 possible IPv6 addresses. In other words, there are over 3.402 × 1038 IPv6 addresses – a much larger number (practically infinite!). 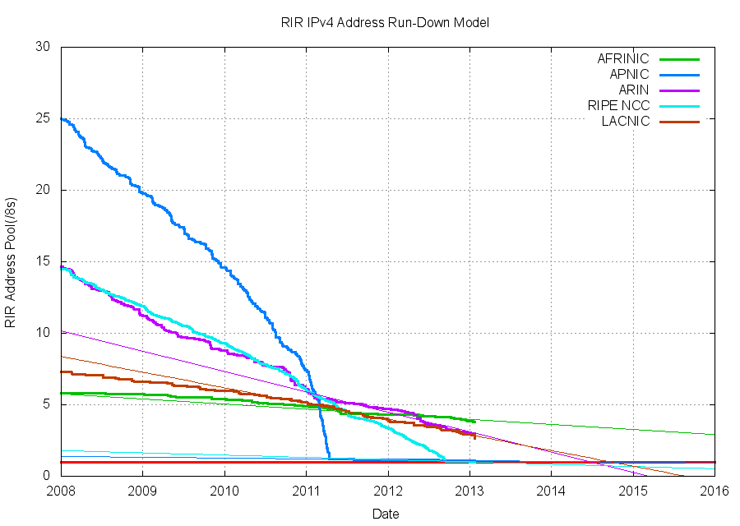 Unfortunately, deployment of IPv6 has been put off for too long. Had IPv6 been implemented years ago, the transition from the older standard to the newer one would have gone much more smoothly. The IPv4 space issue has been a catalyst for DigitalOcean to raise the priority of launching IPv6 sooner rather than later! To ensure a smoother transistion, we highly suggest to all of our current and future customers that they begin to test with IPv6 immediately.